CONCRETE KINGDOMS ANNOUNCES DEBUT EP! CONCRETE KINGDOMS are here to stamp their imprint on the UK scene, and the Scottish Rockers have the perfect bait in the form of their blistering debut self-titled EP, out Friday August 17th 2018. The band are set to move forward even further with the release of their debut EP, out this August. Spitting out four cuts of crushing rock, framed by driving guitars, measured song structures and engulfing hooks, the record is a must have for all die-hard rock fans. Their new single, Time To Play, is ripe for radio and is sure to grace the airwaves this Summer. For festival and tour announcements, check out the band's social sites. CONCRETE KINGDOMS are an electrifying hard rock band from Fife, Scotland. 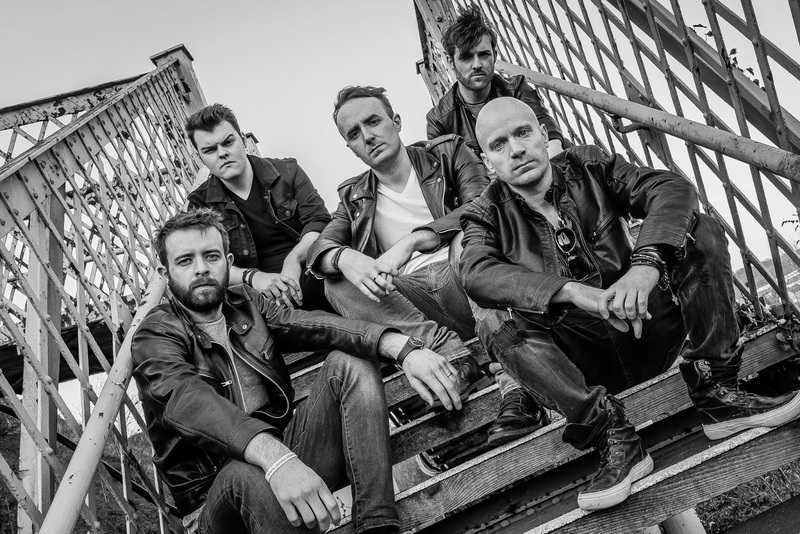 Taking inspiration from Guns N Roses, Alter Bridge, Audioslave and Led Zeppelin, the emerging quintet have been winning over audiences since their formation. Supports shows with the likes of Puddle of Mudd, Diamond Head, Mitch Malloy and Nazareth, as well as festival appearances at Rockmantic on the Road and Wildfire, and opening the Winter Storm Festival for Ricky Warwick, FM, and Inglorious, has only served to increase CONCRETE KINGDOMS' budding reputation.